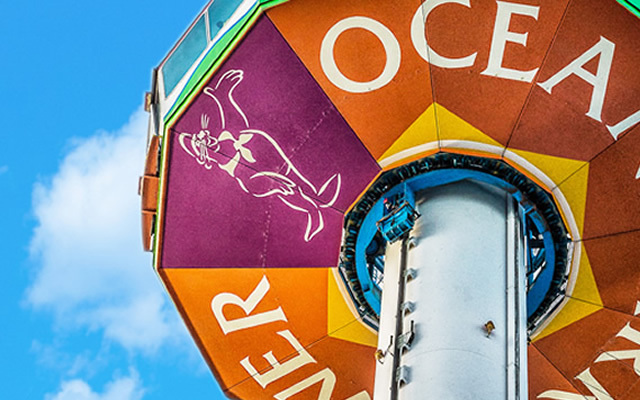 (Hong Kong – 19 January 2012) The home-grown theme park, Ocean Park, is celebrating its 35th birthday this year! As Hong Kong People’s Park, such a joyful celebration must not end with Park visitors but be extended to everyone else in Hong Kong. To start off our line-up of celebration in the year of the Dragon, we are participating once again in the parade by presenting our “Ocean Park Celebrates 35 Years of Excitement” CNY float at the Cathy Pacific International Chinese New Year Night Parade hosted by the Hong Kong Tourism Board on 23 January 2012. 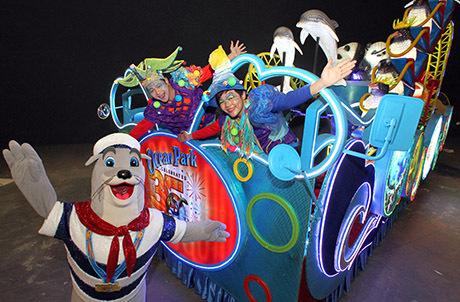 This year, the dynamic float showcases many new, fun and exciting elements offered by Ocean Park. Not only will you find our signature animals such as dolphin, harbor seal, the giant panda Ying Ying and Le Le on the 4 meters in height and 3 meters in width awe-inspiring float, but you will also be greeted by our golden monkeys as well as penguins, one of the iconic animals to be introduced in the upcoming new themed area “Polar Adventure”. Hair Raiser, the new floorless rollercoaster in Thrill Mountain, will also be an iconic element on the flow featuring its dynamic loops and turns with running LEDs, wishing the people of Hong Kong a lucky and prosperous Year of the Dragon. 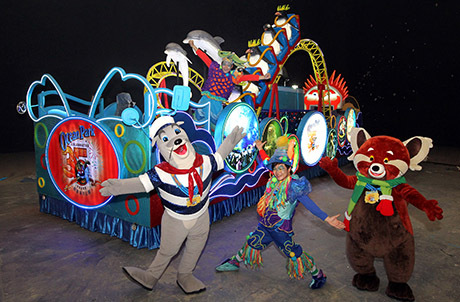 True to the Park’s commitment to environmental conservation, “Ocean Park Celebrates 35 Years of Excitement” CNY celebration float is constructed using energy-saving LEDs, thereby reducing electricity consumption and lowering carbon dioxide emission as compared to using normal light bulbs. To fit in with our 35 years birthday theme, many performers dressed as cute birthday cake will be flopping out from a giant 35th anniversary gift box. Together with our endearing mascots - Whiskers and Redd, they will dazzle and entertain Hong Kong people with fantastic spectacle. Also at Whiskers Harbour, kids can have a blast at the Happy Little Dragons classes and be dressed as little golden dragons to learn about the traditional Chinese dragon dance. If you need more information about the “Ocean Park Celebrates 35 Years of Excitement” ” CNY celebration float and “Chinese New Year Fiesta” event programme, please contact Ocean Park’s Guest Relations Department at 3923 2323.